The Cetacean Research C304xx is a preamplified, flat sensor hydrophone designed for the detection of low frequency, audible, and ultrasonic sounds. It has the wider band available today. 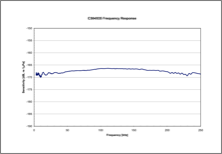 The Cetacean Research C304 Hydrophone has a directional receive pattern with very wide frequency response for monitoring ultrasonic signals not detectable by competing brands. 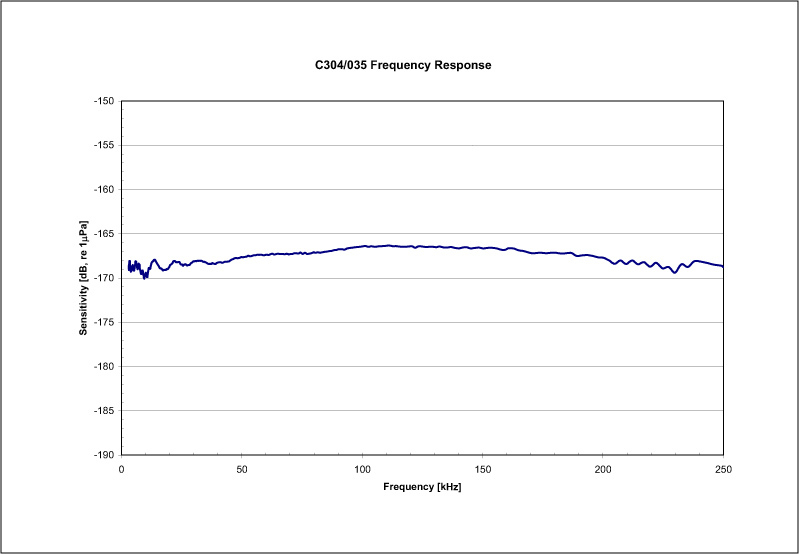 The C304XR has a usable frequency response up to 2MHz. 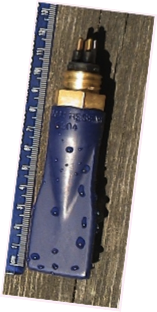 The connector is an integral part of the hydrophone. Hydrophones are not individually calibrated but calibrated frequency response measurements can be performed on request. Battery boxes are rated NEMA-4X water resistant. Standard signal connection for the Cetacean Research C304xx hydrophone is through a watertight female BNC connector. Shielded Cable Length [m] mating connector molded to 15, 30, or 50 [m] shielded cable, other lengths available on a custom order basis. Cable includes Integral Connector rated to a depth of 7,000 meters. 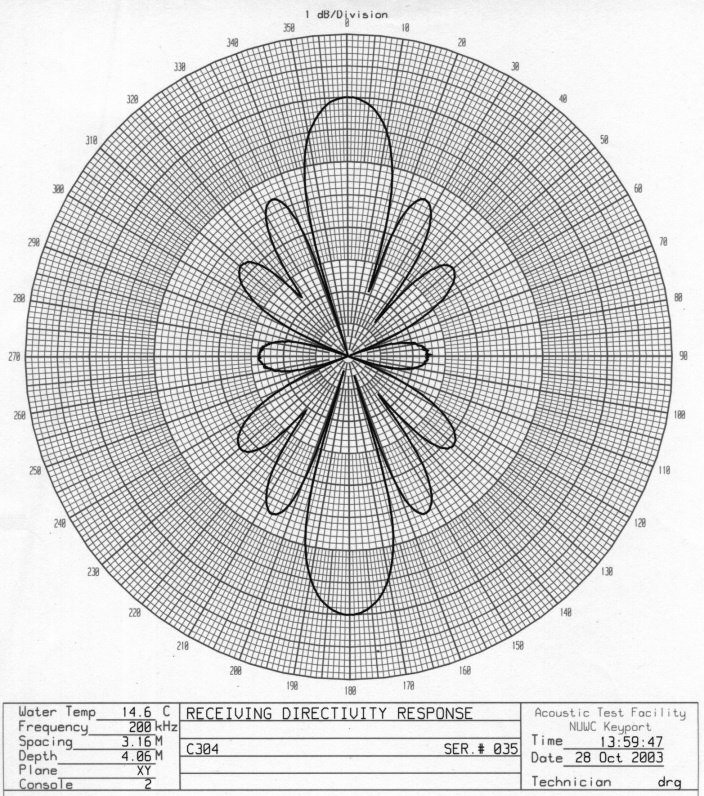 Directionality: omnidirectional below 10kHz; very directional at high frequencies (e.g., ~15º solid angle at 200 kHz, -3dB); directionality pattern is a dipole, directionality focused in a plane.